Her Mother's Grave? Whose mother's grave? What? That's what you're asking yourself, so let me explain. The 'her' in this title would be Josie Quinn the police detective in Lisa Regan's Detective Josie Quinn series. 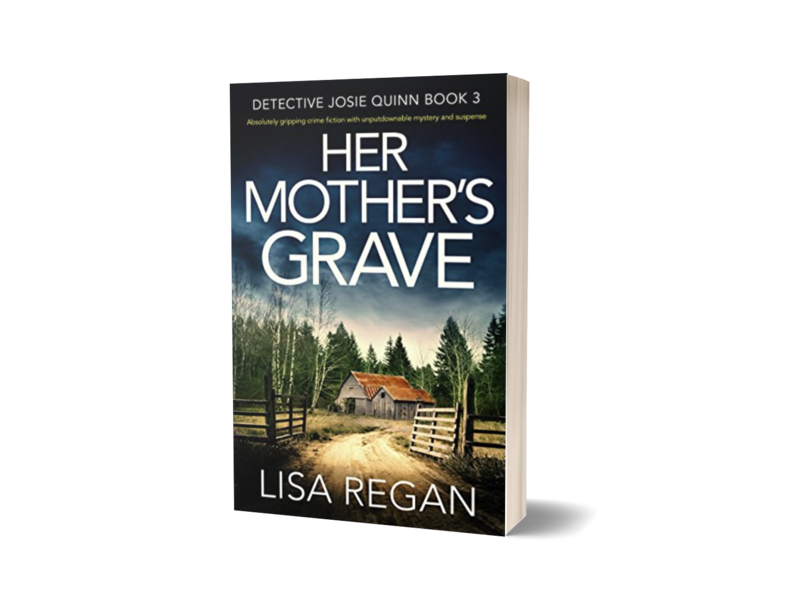 She's tough on the outside, but the things that happened in her childhood still haunt her, and her mother coming back from the dead isn't going to help. 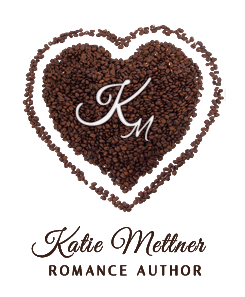 Read on for the blurb, and my review! Her Mother's Grave, wow, I'm still somewhat wordless more than two months after reading this book. 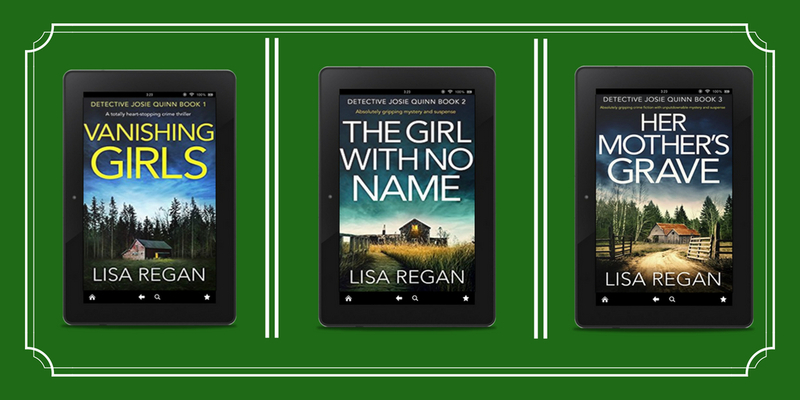 Lisa's books always leave me in a constant state of 'but, but, but' which in suspense is a GREAT compliment. Her Mother's Grave was no different. I wanted more, so much more when I turned the last page. I know in my head there will be more coming, but having to wait for it is torture! Lisa's books are ridiculously hard to review because her plot lines are intricate, her characters so perfectly flawed, and each point in every book is somehow tied to the next book therefor making spoilers nearly a sure thing. I will say this, read this series. Seriously, just start reading the series and when you get to Her Mother's Grave, you won't put it down until you're finished. Be prepared, you'll be one handing it in the kitchen while cooking, so think ahead. 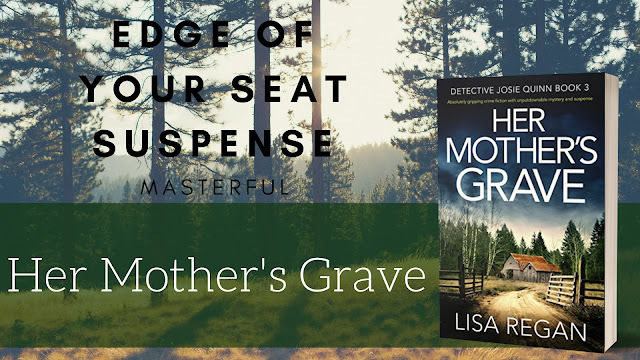 Her Mother's Grave reminded me a lot of Mary Higgins Clark's Two Little Girls in Blue, but all of Lisa's books are written as a suspenseful thrill ride that twists your mind around until you aren't sure if you're coming or going and the only way to know is to get to that last page. I would like to see more romance develop between Josie and Noah. I honestly think that this is moving too slow and it does tend to drag you out of the story when the characters are trying too hard to avoid their reaction to each other. Suspense like Lisa's should never be about the romance, but Josie isn't a robot without real human emotions and needs. Now, knowing Lisa there is much more to come in the coming books in this series, but I'm just sayin... throw Noah a bone here, people! Kudos on another amazing book written in a way that every reader will wish they had more time to read, will have an unhealthy disregard for bedtime, and not stop thinking about even after the last page is turned. transferring to Bloomsburg University, where she earned a bachelor’s degree in English and a master of education degree. To make ends meet, she worked as both a certified nurse assistant and a karate instructor. In 2002 she finally finished her first adult novel, which remains on a flash drive in her nightstand. In 2006, she finished what would become her first published novel: Finding Claire Fletcher. 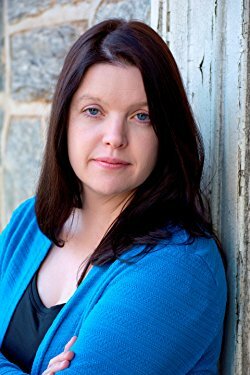 After being passed over by more than 150 agents and then more than a dozen publishers, her first novel was published in December 2012, followed by her second novel, Aberration, in June 2013. Finding Claire Fletcher won Best Heroine and was runner-up for Best Novel in the 2013 eFestival of Words Best of the Independent eBook Awards. It was a finalist for the Kindle Book Review's Best Kindle Book Awards in 2014. In December 2013, the novel reached number one on Amazon’s Bestselling Kidnapping Crime Fiction list; in the same month, her second novel, Aberration reached number one on Amazon’s Serial Killer Crime Fiction Bestseller list. Lisa currently resides in Philadelphia with her husband and daughter where she works full time and works on her future novels while waiting in line at the local post office.